Buonconvento is a town in the province of Siena in Tuscany. It's located about 16 miles southeast of Siena in the area known as the Crete Senesi. In Buonconvento you can visit some interesting churches (13th-14th centuries) and in the local museum there are works by artists from the Sienese School of painting. In most of the Buonconvento's 'frazioni' (name given to the territorial subdivision of a municipality), you can find Medieval buildings and Renaissance castles. 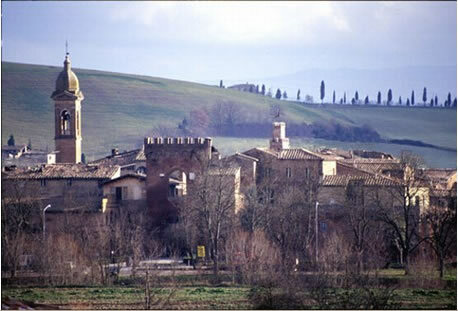 For example, the well known Castle of Bibbiano is in the comune (municipality) of Buonconvento.